I’ve heard Children of Blood and Bone, the debut novel from Nigerian-American author Tomi Adeyemi, described as the Black Harry Potter. I presume it’s because both books feature magic and teenagers, but I think the comparison stops there. Harry Potter takes place in a world where magic, though hidden from muggles, is celebrated and loved for its usefulness. In Children of Blood and Bone, however, magic has caused so much fear in non-magical people (called kosidán) that, when magic mysteriously died, the kosidán King used the opportunity to systematically kill every maji in the kingdom of Orïsha. The beginning conditions of the novel are much more bleak, and these bleak conditions allow the novel to explore much more nuanced societal pressures than an epic battle between good and evil. 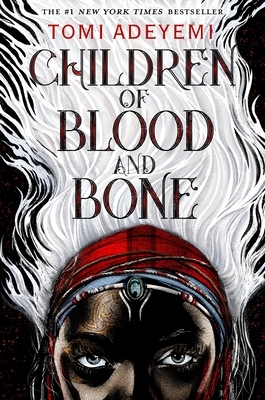 Children of Blood and Bone is a deeply imagined book, with a fully-built world, which means it requires a lot of world-building in the first chapter. As such, the book takes a little while to get going, but once Zélie, a would-be maji or divîner, meets Princess Amari on the run from the palace, the story picks up speed. Amari has found an ancient relic that awakens Zélie’s powers, and they embark on a quest with Tzain, Zélie’s brother, to restore magic to the entire kingdom. Hot in pursuit is Amari’s brother, Prince Inan, who has fully drunk his father’s magic-is-evil Kool-Aid. However, a complication arises when Inan and Zélie experience a magical connection, which leads to what I thought was a Prince Zuko[^zuko]-esque redemption arc for Inan. Along the way, Adeyemi’s novel tackles some heavy themes, such as colorism, genocide, child abuse, torture, and self-hatred of the oppressed. Being a book for children, it would be easy to gloss over such topics to keep the appearance of family-friendliness, but I’m impressed that Adeyemi refused to shy away from the lived experiences of her characters, including all their pain, old and new, on the page. She also manages to address systematic injustice in an accessible way, exploring the issue of the maji from all angles, so that we can see how genocide can arise from seemingly familial trauma: King Saran’s final decision to kill all the maji and systematically un-people the divîners arose when his entire family was killed by maji, I’m assuming in a political power grab. The blood between maji and kosidán has been bad for a long time in Orïsha, which makes the book’s resolution even more compelling. I didn’t know before reading Children of Blood and Bone that it was the first of a forthcoming trilogy from Adeyemi. With the world-turning ending of the first installment, I cannot wait to read the rest of the series. The ending of the novel was satisfying on its own, but it will feed into more problems that I’m excited to see play out.